The Almond Scented Body Oil is a special blend of pure vegetable oils that nourish, soften and moisturize the skin. Enriched with Vitamins, it fights free radicals and counteracts the effects of advancing time. From the first application, the skin immediately appears soft and elastic. 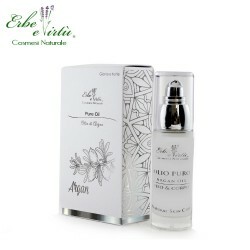 It is Non-greasy, gives a pleasant feeling of well-being and with its harmonious and particularly pleasant notes leaves the skin delicately scented.